The U.S. Chamber of Commerce estimates that employee theft costs American employers more than $50 billion dollars each year. In a study conducted last year by The Chubb Group of Insurance Companies, executives of 60 percent of the companies surveyed said they expected their employees to steal money or equipment. Another study conducted by The Chubb Group in 2004 found that 39 percent of private companies had employees who stole company funds, equipment, or merchandise. The Association of Certified Fraud Examiner’s Report in 2016 showed the frequency of fraud is at 37.7% of small businesses, compared to 20.8% of large businesses. Background checks, reference checks, screening tools and other hiring instruments can help but shouldn’t be used entirely. Corporate fraud is one of least often prosecuted crime offenses, meaning background checks will not identify someone with prior activity. Fraud is a crime of opportunity and the number one deterrent is the fear of being caught. Awareness and insistence on regular review of your financial reports will not only help you make management decisions, but will also more than likely be the best deterrent to fraud you could hope for. The manager-employee relationship can make the warning signs of employee theft difficult to spot. Managers who work to build trust with their employees don’t allow themselves to question what may be in front of them. The relationship clouds their judgment and the resulting denial can be a powerful blinder. 1. Slow or sloppy financial reporting. Proper accounting is a critically important function for a business. Don’t accept excuses for not receiving timely financial reports that make sense. Insist on receiving comparative financial reports, cash reconciliation reports, accounts receivable reports and job costing reports. Be cognizant of changes in expenses and income, particularly payroll and recurring expenses. If your accounting team can’t provide these reports in a timely manner, get them the proper training or hire someone who can. Insist on 7×24 access to your books and that backup for expenses is easy to audit. 2. Excessive Possessiveness: Bookkeepers with nothing to hide welcome involvement in financial reporting and recognize there are multiple stakeholders receiving information from accounting in order to make proper business decisions. A bookkeeper who hoards access to QuickBooks, banking, refuses to allow a backup employee access to basic accounting functions even if they are on vacation, is a yellow flag. Note, this does NOT mean passwords should be shared. 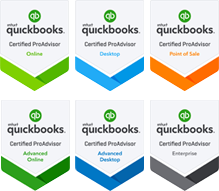 However, the business owner should have access to the administrative password for QuickBooks and all banking functions, and should be able to delegate shared accounting functions with unique usernames/passwords if that delegation provides continuity and checks/balances. 3. Big-ticket purchases or significant change in employee spending habits or lifestyle. This isn’t about the employee who buys a new car after saving for a year. It’s about the employee who buys a new luxury car even though she’s always talking about barely having enough money to pay the bills and put food on the table. It’s about the guy who buys a new big screen TV even though he counts down the hours until he receives his paycheck so he can put gas in his car. This alone doesn’t mean your employee is stealing from you. The point is this: a significant change is a yellow flag. Use it to stop and think about what else is going on around you. 4. Change in work habits. Employees who make significant changes in their work habits, arriving significantly early or leaving significantly late, or always looks for ways to work independently or unsupervised, should cause you to wonder why. Excessive unexplained absences may indicate a substance abuse problem, moonlighting or guilt. Likewise, bookkeepers or inventory clerks who NEVER take absences may be completely honest and trustworthy, yet it also may signal someone who doesn’t want their work exposed to a substitute. 5. Problems with payroll, travel, and expense records. We all make mistakes. But accounting discrepancies should be tracked. Is there a question about hours worked versus hours paid? Did she lose a receipt? Did he forget to reconcile petty cash? Did she exceed the entertainment stipend with clients? Did he forget to itemize his expenses? Give your employee the benefit of the doubt the first time. But, if it happens again, pay attention. This is where small companies which don’t have specific accounting practices or well defined policies about travel and expenses, can get in trouble. Always have checks and balances in place when it comes to bill pay, account reconciliation, accounting software security. 6. Missing items. E-Bay and Craigslist didn’t gain all of their popularity due to garage clean outs. Ever wonder where those incredibly inexpensive “in the box” computer or hardware gadgets comes from?? If you thought you ordered 15 laptops, you probably did. Use Purchase Orders and inventory tracking and regular physical audits of your inventory to detect missing items. Avoid accidental pallets “falling off” the loading dock, multiple item shipments “damaged” or lost in shipping. One theft scheme involved unloading new merchandise while “throwing out” the “old” packing material in a trash bin so it could be picked up after hours. Problem was – it contained the new items. 7. Suspicious cars, especially cars parked near back doors or dumpsters. This seems like common sense, but how often do you drive around or look outside to see what’s going on in the more isolated areas of your workplace such as loading docks? It’s probably a matter of security to do so at shift’s end or at the end of the workday, but consider impromptu check-ins during the day or near the end of the workday. 8. Pattern of friends or family showing up, or family and friends who insist they only go through employee’s checkout line. Internal theft isn’t always a solo operation. Watch buddies who come in and only want to go through their friend’s line. If they came in for an innocent hello, they shouldn’t care about going through someone else’s line before chatting for a few minutes. If it’s a one-time situation, it’s probably nothing. But, if it becomes a regular thing, question what’s going on. rings may mean your employee is pocketing cash payments. In particular, be wary of any employee who tends to pile merchandise in front of the register while taking care of customers. The blocked register view gives an employee the opportunity to ring up less than charged or to over ring something secretively and pocket the difference. 10. Lack of Checks and Balances: Ultimately, fraud can happen by unauthorized use of the company’s cash and/or diverting receipts from clients that are due to the company. The vast majority of fraud occurs because the opportunity is there and they feel they won’t get caught. A business owner should review their procedures for documenting and controlling all cash outflows – payroll, checks, credit cards, wire transfers, bill payments and or manipulation of billing invoices. Most small businesses cannot afford an accounting team with properly designed checks and balances but being a victim is even more costly. Consider hiring a third party to review and close books on a regular basis that will help validate the financial reports, and act as another set of eyes on your accounting team.